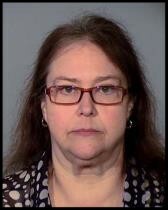 Investigators say the ringleader, Tammy Wade, worked as a Medical Assistant for an East Valley physician for more than 15 years. Wade’s job duties included filling out prescription forms dictated to her by her employer doctor. Investigators say between 2014 and 2016, Wade wrote unauthorized prescriptions for narcotic pain medication. She would submit them to the physician for his signature, alongside legitimate prescriptions. The prescribing doctor became aware of the problem when he received a letter from the Arizona Pharmacy Board informing him about his narcotic prescribing practices. During an internal investigation, Wade admitted to her scheme. Wade was fired immediately. The doctor then contacted Gilbert Police and a joint criminal investigation was conducted with the Arizona Attorney General’s Office. Sentencing information can be found below. Wade plead guilty to Possession of Dangerous Drugs, Possession of Narcotic Drugs, and Criminal Impersonation. On August 13, 2018, Wade was sentenced to one year in jail, three years probation, ordered to pay a drug fine of $5,490 and assessed $1,000 in investigative costs. Investigators say Tammy Wade’s brother Terry Wade, Jr. passed some of the phony prescriptions and played a coordinating role in this drug ring operation. Wade plead guilty to Attempted Fraudulent Schemes and Artifices, and two separate counts of Money Laundering in the Second Degree. On June 26, 2018, Wade was sentenced to two years in prison, five years of supervised probation, ordered to pay $453.38 in restitution to AHCCCS upon release from prison, and ordered to pay $1,000 in investigative costs. Investigators say several of the co-defendants sold the illegally-acquired prescription drugs to Kyle Kazubowski. Kazubowski plead guilty to Money Laundering in the Second Degree and two counts of Possession of Narcotic Drugs. On August 15, 2018, Kazubowski was sentenced to nine months in jail and placed on four years supervised probation. Kazubowski was also fined $3,660 and ordered to pay $500 in investigative costs. Elisa Beltran was a Medical Assistant who also worked at the same doctor’s office. Beltran admitted to passing forged prescriptions, and then selling the Oxycodone pills to co-defendant Kyle Kazubowski. Beltran plead guilty to Possession of Narcotic Drugs, Possession of Dangerous Drugs, and Criminal Impersonation. On August 13, 2018, Beltran was sentenced to six months of jail, placed on supervised probation for three years, fined $3,000 and ordered to pay $500 in investigative costs. Kevin Strickland received prescriptions for narcotic drugs from Tammy Wade, and he sold some of the pills he had obtained to Kyle Kazubowski. Strickland plead guilty to Possession of Narcotic Drugs, and Possession of Drug Paraphernalia. On July 5, 2018, Strickland was sentenced to ten days in jail, three years of supervised probation, fined $3,660, and ordered to pay $250 towards the investigative costs. Henry L. Dozier plead guilty to Possession/Use of a Narcotic Drug and Possession/Use of Drug Paraphernalia. Dozier was sentenced on May 17, 2018, to one week in jail with three additional weeks deferred. Dozier was ordered to pay a $3,660 fine and $250 in investigative costs. Ruben Gomez filled and passed forged prescriptions he received from Tammy Wade. Gomez plead guilty to two counts of Drug Paraphernalia Violations. Gomez was sentenced on March 16, 2018, to two years of supervised probation and ordered to pay $250 in investigative costs.